here and Cairo 360 has all the details you need to plan your holiday escape. This long weekend is a great opportunity to do your part for the Egyptian economy and tourism industry by travelling around Egypt, and what a lot of options we have! Hurghada Long Beach Resort costs 350LE pp on an fb basis. pp in a double room on a half-board basis. double room on an fb basis. slow-cooked food, a stone pool and lounging bean bags. which includes phone numbers for Ayash, Castle Beach and Petra Camp. try La Reine Hotel and Penguin Hotel for cheaper options. double room at the Sofitel Luxor (095 2380425) for 699LE pp on a b&b basis. Culture House make this eco-lodge a perfect option at US$120 for a single room. site Wadi El Hitan. End your day with a simple stay at Zad El Mosafer eco-lodge. & breakfast venues there for much cheaper options. by staying at the charming Qasr El Bawity eco-lodge. Oasis Expeditions offers a four-day trip to Bahareya for 660LE pp in a double room at Qasr El Bawity. The rate includes transportation to and from Cairo, meals and accommodation. Heading to Alex for the weekend? Read our guide on where to eat and what to do. with a pool view double room for US$400 on a b&b basis. room on a b&b basis. 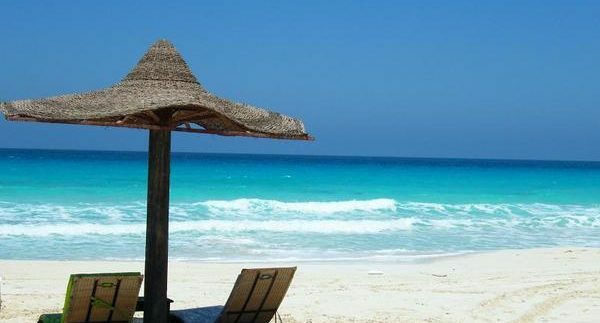 Marsa Matruh offers a double room for 500LE pp on a half-board basis. cheaper alternative, try Amigo Ain Sokhna. this long weekend holiday, spoil yourself and book into one of the capital’s many hotels. will be upgraded to the next room category. And there you have it, Cairo! Happy Holiday! b&b: bed & breakfast. hb: half board. fb: full board. pp: per person.